Freezing Land is a series of photos made, on the road, across northeastern China’s countryside that mixes landscape photography with environmental portraits. 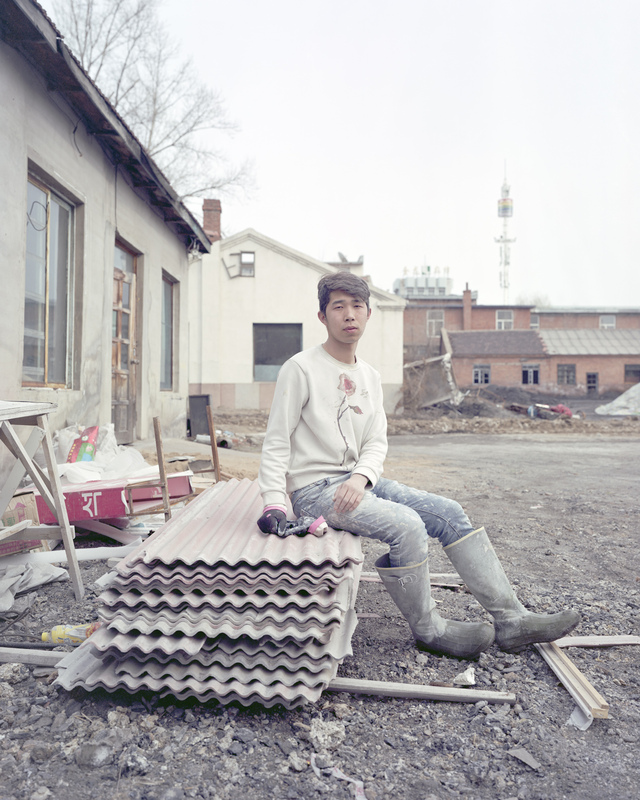 It is a story about about the shrinking cities in northeastern China and their lonely young people. The northeast was the wealthiest area in China, bordering Russia and North Korea. With the help of Soviet Union, it developed heavy industries and stayed prosperous for years. This land represented China’s communist roots and authoritarianism. But now, it has become the most recessionary land in China, with shrinking cities and declining population. It is difficult to encounter subjects on the street in an environment of minus 30 degrees centigrade. Therefore, I used a social media app “Kuaishou” looking for young people who were willing to share their stories. The young people I chose were experiencing a sense of uncertainty. They were facing a choice to leave for challenges in bigger cities, or stay behind and embrace their fate. Their voices were sparsely documented by Chinese media or through other mediums. Few people knew about their stories. I photographed environmental portraits for these young people. Their stories are colorful, but also full of loneliness. I photographed the derelict landscape – places that are once lively but now forgotten. During this process, the emotion expressed by these young people – a mixed sense of hesitation, loneliness, and hope – has brought me resonance. This made me realize that I’m not just photographing the lost “Chinese Dream” on this freezing northeastern land, but also the uncertainty we young people, as individuals, are facing under today’s collectivism in China.